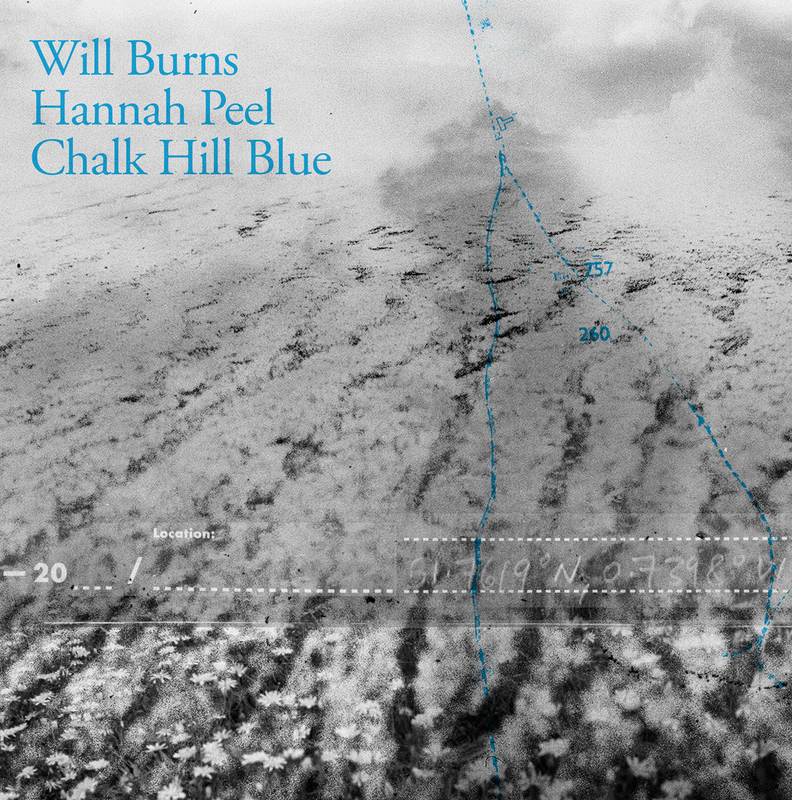 Chalk Hill Blue is the first album by poet Will Burns and musician and composer Hannah Peel: a record of electronic ruralism channeling lives threaded through the chalk landscapes of Southern England. It is released by Rivertones on Friday 22nd March. Vinyl pre-orders from the Caught by the River and Hannah Peel online shops come with an exclusive signed and numbered LP-sized ‘Summer Blues’ letterpress print, limited to an edition of 200 and produced in Nick Hand’s Bristol studio. All LPs and CDs will be signed by Will and Hannah. As part of their collaboration, Will Burns, Hannah Peel and producer Erland Cooper walked the landscapes around Burns’s Wendover house together: their chalk-heeled boots tracing shared routes through the rhythms and repetitions of the place. What emerges in Chalk Hill Blue is a site-specific-non-specific record of creative place portraiture; an album that traces elements of a living landscape, and reworks them into something that is as sensitive and finely-observed as it is visionary. Peel’s subtle use of analogue synthesisers and drum machines seems at times directly divined from the landscape, like crackling seismographs taking the pulse of the place. On opener ‘Out of Doors’, a tape loop fluctuates and flakes away with each pass, before the pace picks up on ‘The Night Life’ where sine waves crunch like snow underfoot, as a synthesiser swoops above. The granular dipslope drops of album centrepiece ‘Change’ tumble like electric storm clouds, before opening out into ascending trills of breathy woodwind and synth. On ‘May 9th’, Burns’s tale of rural regret is underpinned by the click of a drum machine gently crackling in the damp spring (reverb) air, slowly taking a semblance of shape before evaporating as quickly as it came. Later on, the soft tread of sustained piano notes on ‘Summer Blues’ slowly unfurl, opening spaces for Burns’s words to resonate. Burns is softly spoken and gently deferent; his poems a modest exchange between world and word, and the smudged cultural geologies of our lives. He narrates quiet everyday moments in which romance, heartbreak, ambition and failure course through porous bodies. His words evoke landscapes tensed between presence and absence, and between stasis and change, through which the strange attraction of uncertain memory gently tugs. Stories half-caught and half-cut.